2014 Road Trip Photos #29: The Fast and the (in)Famous « Midlife Crisis Crossover! 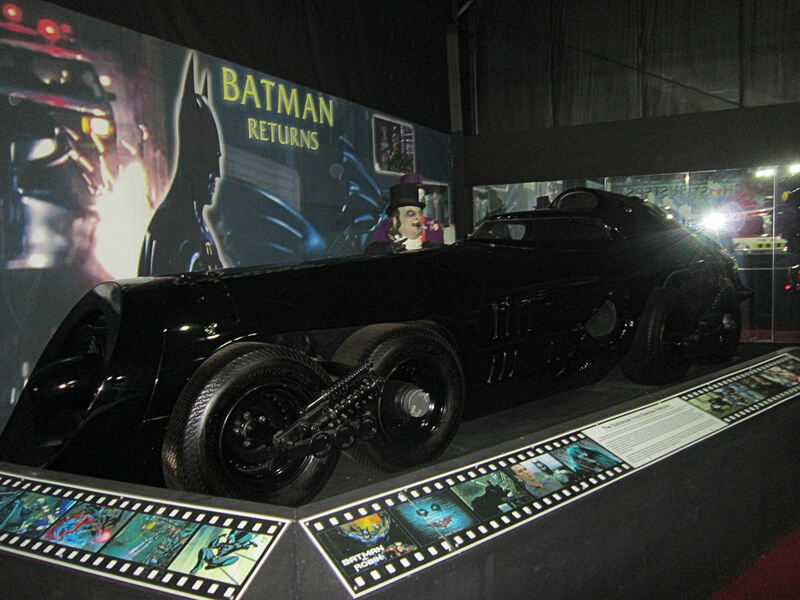 At conventions we’ve seen a 1966 Batmobile and one of Nolan’s Bat-Tumblers, but the Batman Returns Batmobile was an elusive quarry…until now. Day Seven. The end of our road trip was nigh. Eight hours and 500+ miles separated us from home, but the vacation wasn’t over yet. In the past we’ve always felt let down when our final day’s stops were just for food, gas, and bathrooms. That’s no fun, memorable way to conclude your year’s best adventure. This time we founds a few notable places along the way that we’d overlooked in previous years. One of them was full of cars. Northwest of Chicago in a tiny town called Roscoe is Historic Auto Attractions, a warehouse-sized museum containing over 75 automobiles of historical significance and/or pop-culture renown, a selection of genuine famous artifacts, and some wax figures and animal taxidermy for value-added tourist ambiance. Its owner, Wayne Lensing, is an auto parts manufacturer, a former auto racer, and a determined collector who knows what he wants. We’ve seen twins/triplets of a few of the cars on display elsewhere — a Back to the Future DeLorean, an ECTO-1 from Ghostbusters, etc. — but some of these aren’t as common on the geek convention circuit. Others are one-of-a-kind vehicles that once carried popular and/or powerful personalities to and from wherever they demanded to go. The iconic car from the unfortunate live-action Flintstones movie. 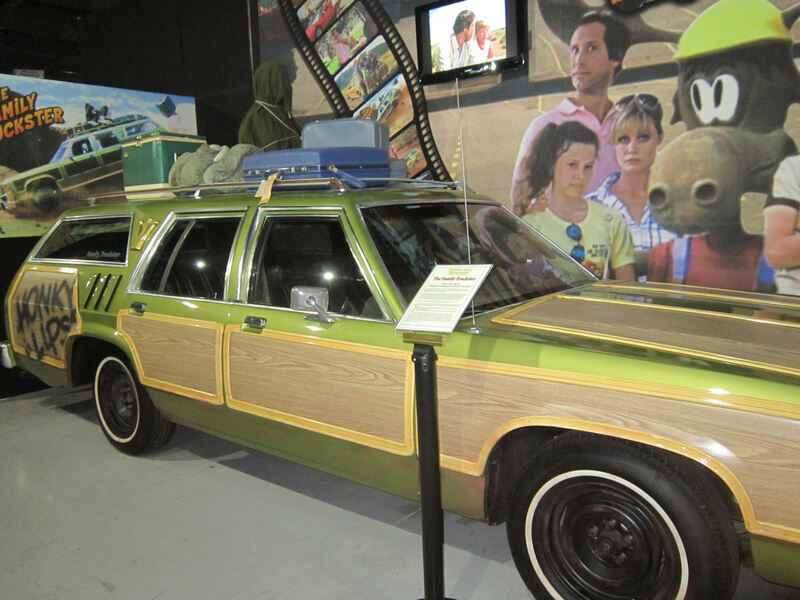 The seemingly unstoppable Truckster from National Lampoon’s Vacation. Good luck to the producers of the remake in creating anything remotely as memorable. 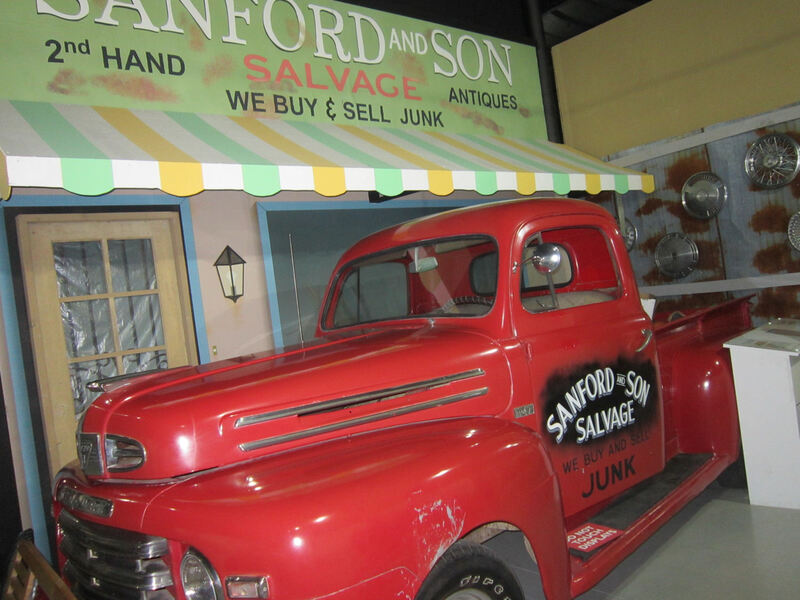 Fred Sanford’s truck from Sanford & Son. It may not mean as much to the youngsters out there, but as a lower-class kid I saw a lot of episodes in syndication. One of cinema’s greatest death scenes occurred in this Ford V8, whose only starring role was in Bonnie and Clyde. 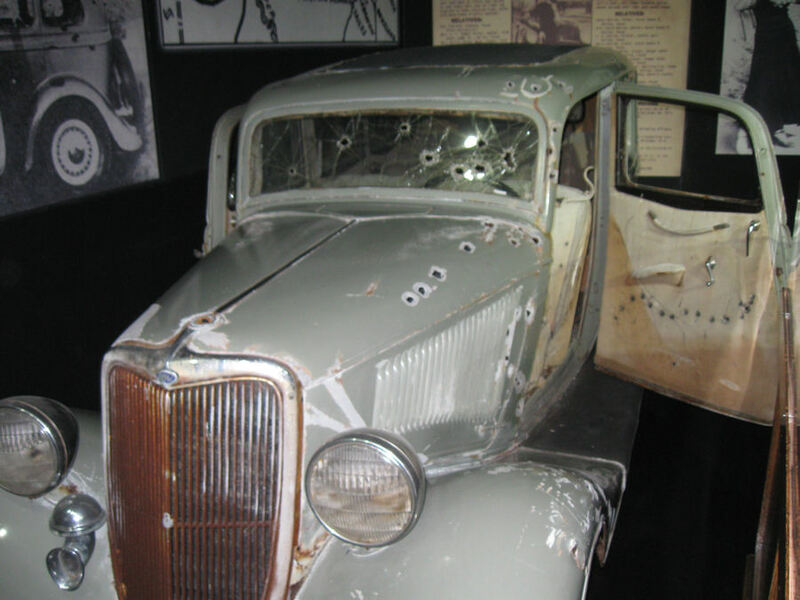 The real Bonnie and Clyde car is in a Nevada casino, but this one has its own story to tell. 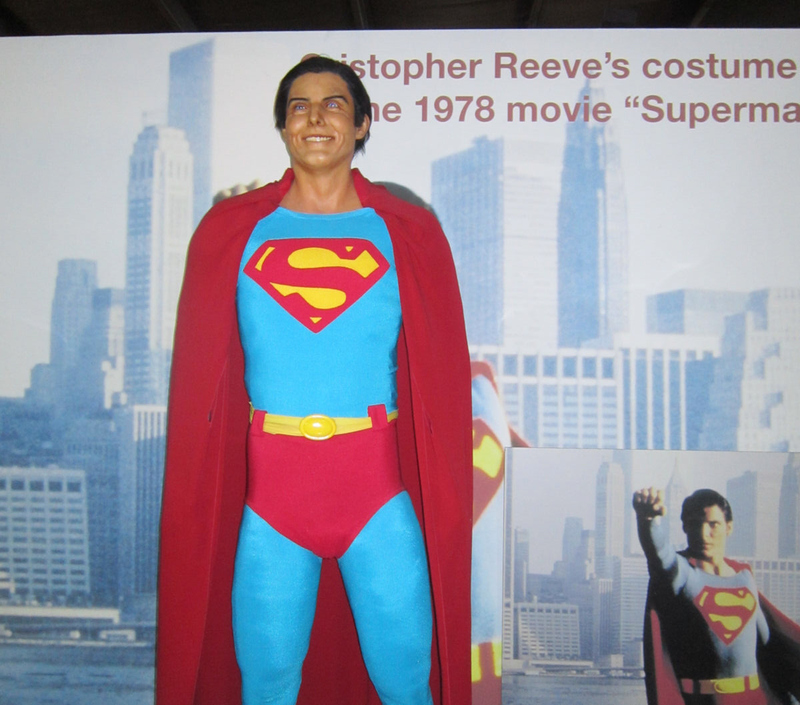 One of Christopher Reeve’s Superman costumes, with a sign and a letter giving credit to a name I recognized — Jim Hambrick, owner of the Superman Museum in Metropolis, IL. It’s a fantastic place. 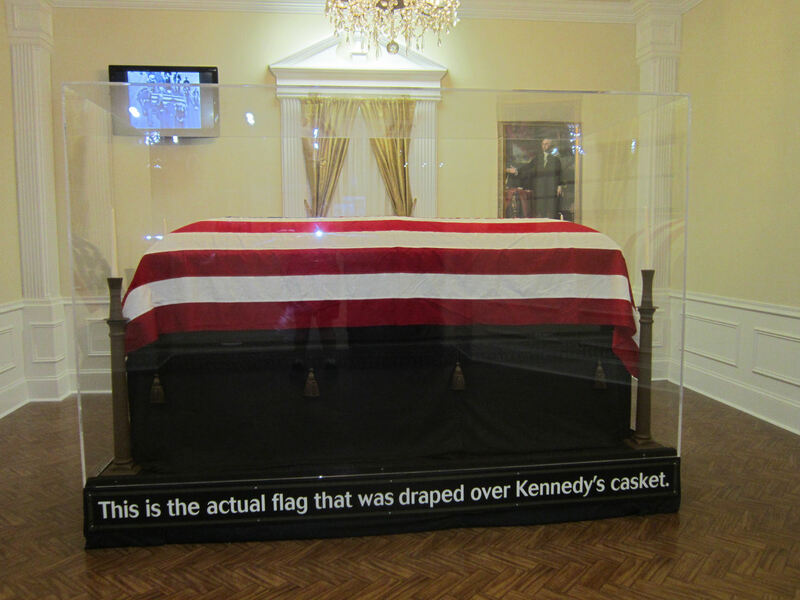 To his credit, Lensing’s collection of Kennedy items is the largest we’ve seen since our visit to Dallas’ Sixth Floor Museum during our 2005 road trip. 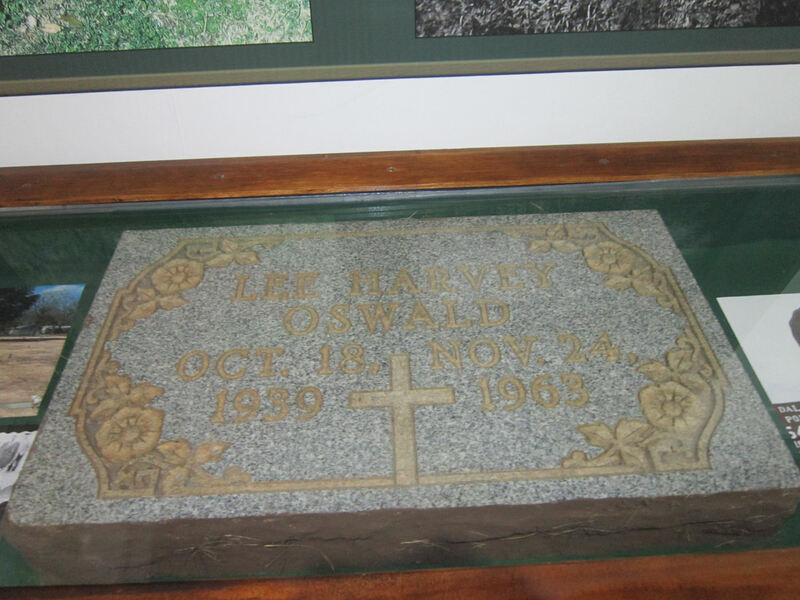 The actual tombstone that formerly marked the grave of Lee Harvey Oswald is so authentic, its ownership has been the subject of considerable controversy. 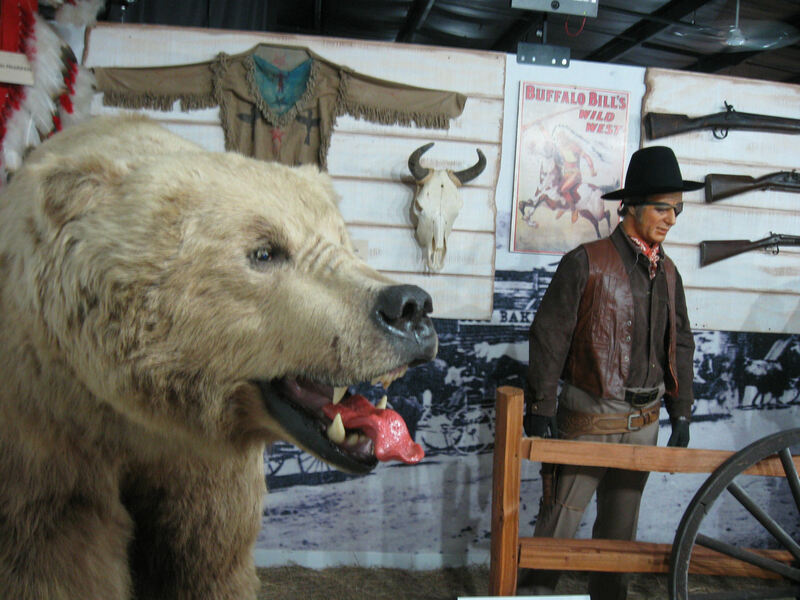 It’s Duke and the Bear, coming this fall to TBS! 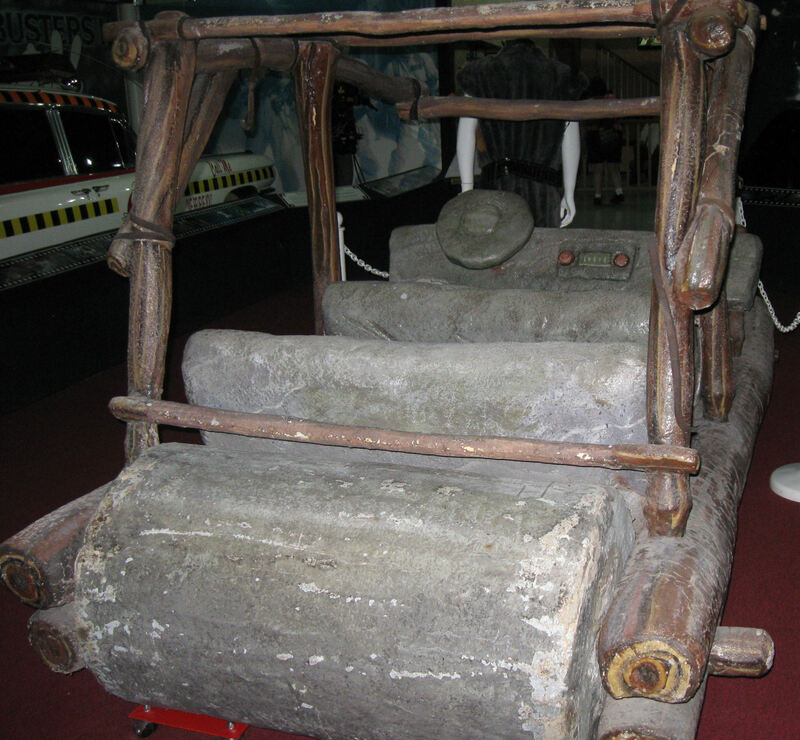 And then there those famous historical transports I mentioned. At least one of them wasn’t a car, but to be honest, it’s also just a training module. Well, “just” may be unfair. 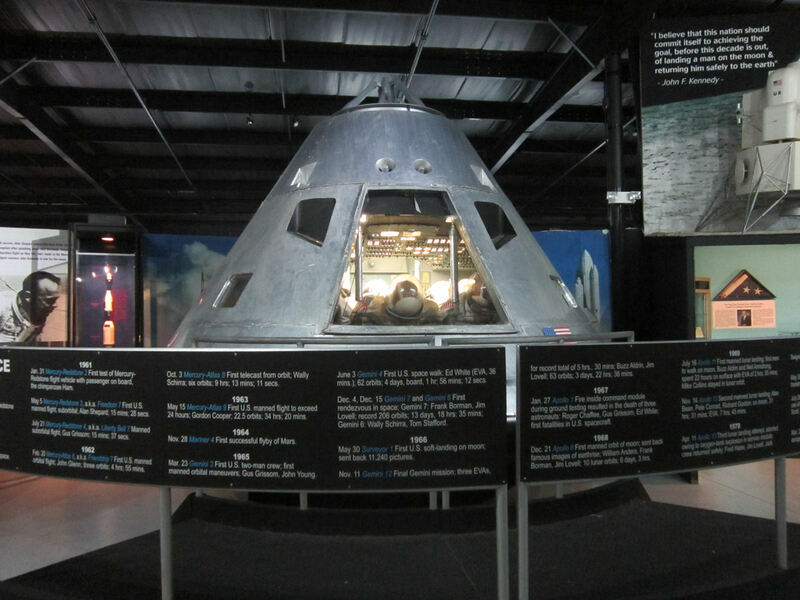 Even the training version of a space capsule is hardly ordinary. Space: the final frontier. Unless you flunk your aeronautics final, in which case your final frontier is the chair in this capsule. Good luck impressing the ladies with that tale. 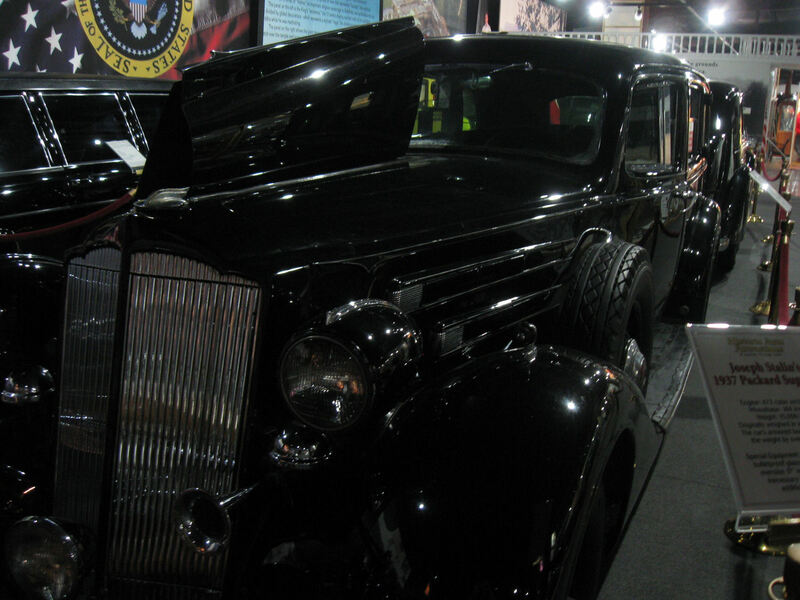 Also not ordinary: real Presidential limousines. Sadly, no joyrides allowed. 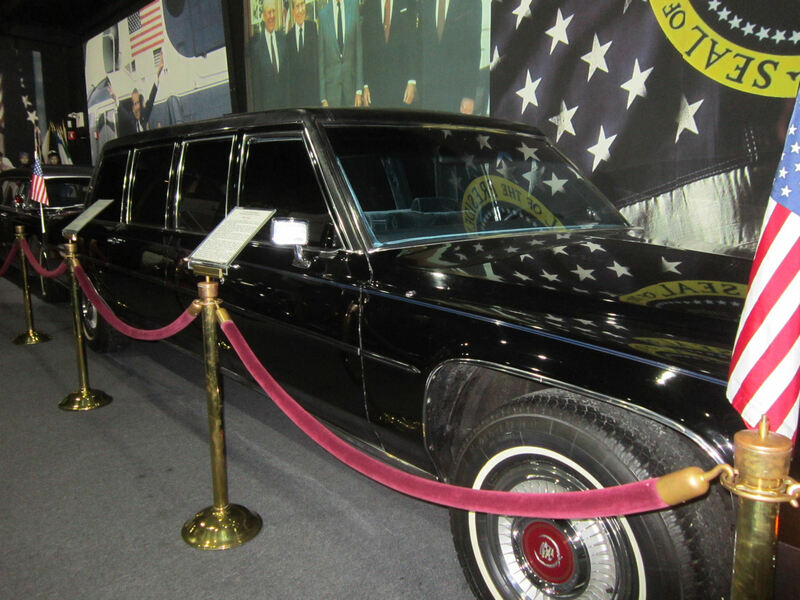 Lensing has so many Presidential limos on display, I never could keep straight which ones ferried which commanders-in-chief. Racing fans may recognize a few of these salvaged cars. Past a certain point I stopped taking notes. 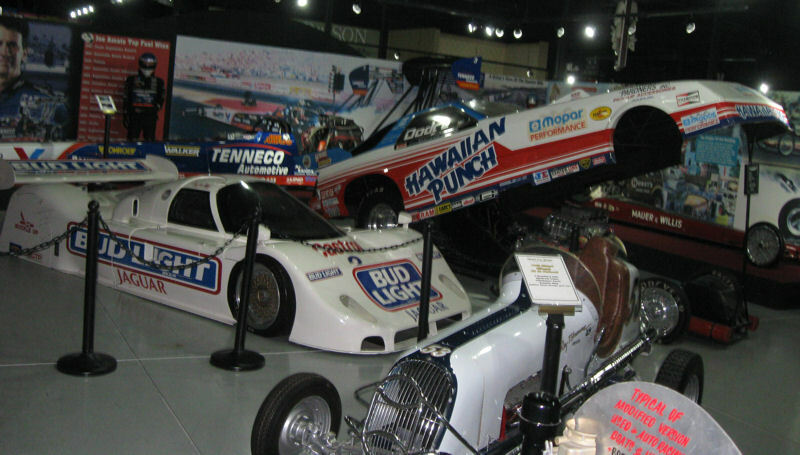 I grew up not far from the Indianapolis 500 Motor Speedway, so I’m a bit dense when it comes to other racing leagues. If you’re a dictator looking to ride in style while oppressing the masses under your unforgiving thumb, you could do worse than Joseph Stalin’s 1937 Packard Super 12. As you might imagine, this car has also caused quite a ruckus over its ownership. 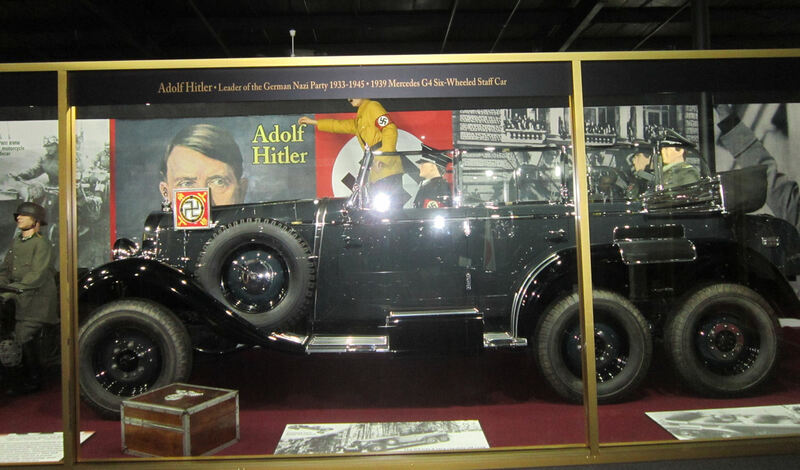 One of Hitler’s staff car, a 1939 Mercedes G4. If it’s okay with you, I’m not even gonna try captioning this. 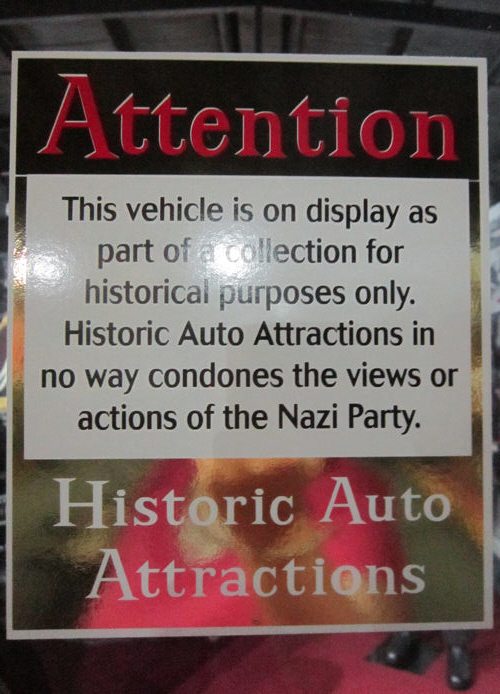 As Historic Auto Attractions says, so say we all. Because you know someone will think it, jump to conclusions, and keep proving Mike Godwin right. 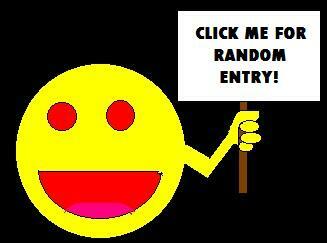 Mandatory moment of whimsical impulse, because I’d much rather end on that kind of note. 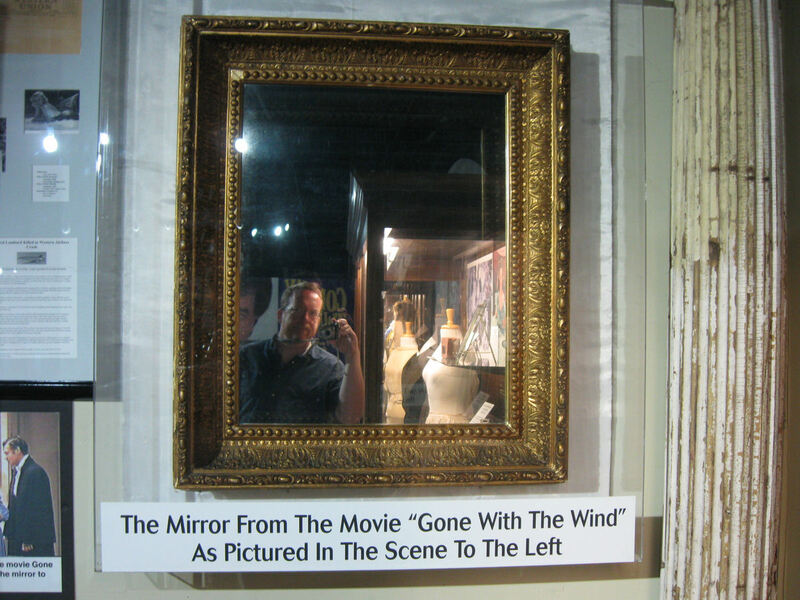 If you’re gonna selfie, I say selfie with film-geek pizzazz.